Magpies pervade European folklore for their compulsive urge to collect sparkly things. Similarly, humans share this affinity with shiny gemstones and sparkling crystals. All over the world ancient people wore talismans and amulets for good luck too. But to get to the ancient origins of these stone and crystal traditions we must begin our questioning at a time before humans had even evolved on earth. The Pink Star Diamond was mined in 1999 in South Africa. (Diamondhistorygirl/ CC BY SA 4.0 ) Weighing 59.6 carats it was sold by Sotheby's for a record $83 million: more than any other stone ever sold. The earliest evidence of stones having been used as tools was discovered in 2014, when a collection of handmade tools were discovered near Lake Turkana in Kenya, Africa, which dated to 3.3-million-years-old. The oldest known fossil of the genus Homo is 2.8-million-years-old, which means stones were used to facilitate survival half a million years before we emerged on the scene. There is no evidence whatsoever to suggest that early Homo worshiped anything, so when then did humans first begin placing significance in natural objects like stones, crystals, and shells? A Science Daily article in 2009 published the story of a team of archaeologists uncovering “47 Nassarius marine shells, most of them perforated and including examples covered in red ochre,” at the Grotte des Pigeons at Taforalt, a limestone cave in Eastern Morocco. These new finds are exciting because they show that bead manufacturing probably arose independently in different cultures and confirms a long suspected pattern that humans with modern symbolic behaviour were present from a very early stage at both ends of the continent, probably as early as 110,000 years ago. Zooming ahead in time 100,000 years to the birth of formalized religion, ancient Sumerians used crystals and gemstones “in magic formulas in 4th millennium BC” and they were used in traditional Chinese medicine beginning around 3000 BC. 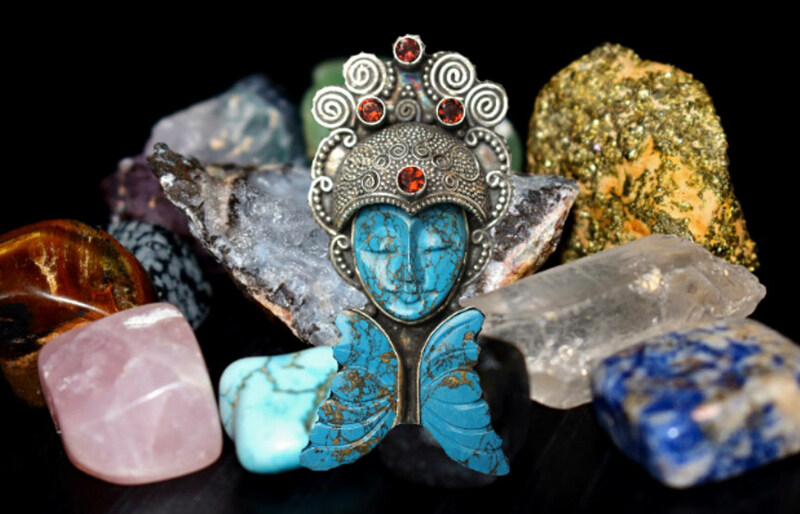 Ancient Egyptians crafted ritual and burial items and jewelry from lapis lazuli, turquoise, carnelian, emerald and clear quartz for use in rituals aimed at bringing protection and health. For example, topaz and peridot (Chrysolite) were applied to purge evil spirits causing nightmares. Malachite and Galena (lead ore) was powdered and used as eye shadow (kohl) and green stones represented the hearts of deceased. The ancient Greeks first coined the word 'crystal' (κρύσταλλος ( krustallos), meaning “ice” and “rock crystal, because they believed quartz was permanently frozen water. In ancient China, jade beads were so important culturally that they were assigned their own written characters and 1000 years ago emperors were buried with jade armor , masks and horses, similar to how rulers were being buried in Mexico. Crystals and gemstones are mentioned throughout most holy books, such as the Bible and the Koran. For example: the Book of Genesis describes the legendary Breastplate of Aaron (the origin of birthstones) which was a gold grid set with 12 gemstones; and the 4th heaven of the Koran is described as being made of garnet (carbuncle). Returning to the western world; in 355 AD the Christian church banned amulets, but gemstones remained highly valued, with rubies and sapphires being the choice finger blazons of the royal and ecclesiastical hierarchy. The 11th century saw several medical treatises examining the properties of precious stones and crystals in the context of enhancing herbal cures. In 1232 AD, Hubert de Burgh, the chief justice of Henry III, was accused of stealing a gem from the king's treasury and passing it to his mortal enemy Llewellyn, the King of Wales; this particular stone reputedly had the power to render its wearer invincible. In the 14th century, extreme churchmen thought that stones and crystals could be occupied by the malevolent forces of demons. Thus, gemstones were often sanctified before being worn in rituals, a process often maintained by today’s New Age community; soaking dowsing crystals in spring/holy water in order to clear/cleanse them of their perceived energies, most often before and after use. Today, when we see pop up ads and banners offering crystals for sale, they are generally presented alongside spirit guides, and in particular, angels. The link between gemstones, crystals and angels was largely crafted in 1609 AD by Anselmus de Boodt, a court physician to Rudolf II of Germany, when he pulled together Christian superstitions and suggested they were controlled by the presence of either godly or devilish angels. 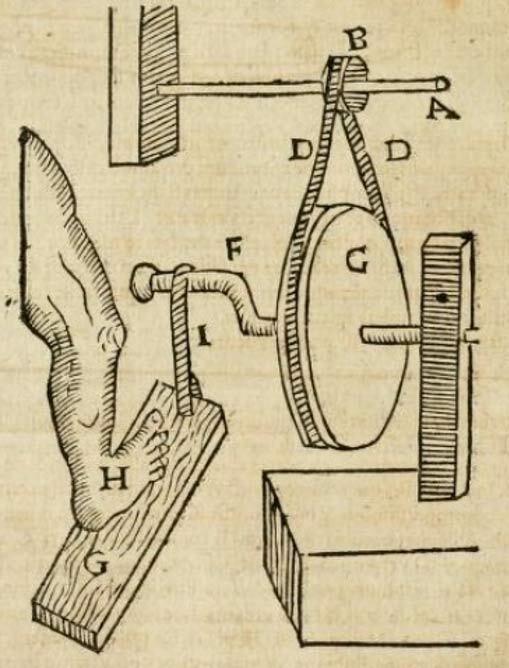 However, the weight of scientific reasoning came crashing down in the late 17th century and scholar Thomas Nicols’s book Faithful Lapidary determined finally that stones “couldn’t possess esoteric entities.” The traditional use of stones and crystals for protection and healing lost its religious quotient and fell into the realms of old world superstition across Europe. Then, at the end of 19th century, the rise of the Spiritualism movement saw many experiments attempting to demonstrate that gemstones and crystals could indeed affect people, which have all subsequently been debunked as parlor tricks. Sometimes they were very convincing, but all were just illusions. By the 1980s and 90s, the New Age culture used crystals and gemstones in their resurrection of indigenous healing traditions and channeling experiments, and a large number of books are currently available on subjects like ‘crystal therapy’; which boldly bridge spiritual beliefs with the current scientific paradigm. While these modern systems generally have absolutely no measurable healing properties except for speculative cases, they will no doubt remain firmly in alternative culture. But like everything that was ‘alt’, these subjects are becoming more acceptable in mainstream complimentary therapy, evident in that several educational institutions, the University of Delphi for example, offer qualifications in crystal healing. Just like in the ancient schools of China, Egypt, and India, there will always be some people within a community who believe in the supernatural powers of stones and crystals. And long may these people live and their arts grow, for it is in their rituals that the last vestiges of very, very ancient traditions with stones dating back at least 3.3 million years remains. And, in conclusion, so what if gemstones and crystals don’t ‘scientifically’ heal people? With what we know about the 'placebo effect' and that history is constructed with peoples “beliefs" - not facts - worshiped gemstones and crystals must have saved many, many people throughout history, just like sugar covered pills can facilitate self-healing in patients today. WitchesLore. 2011. The Magic of Crystals and Gemstones. Sukumari Bhattacharji 2015. The Indian Theogony . Cambridge University Press. pp. 280–281.